A new entry in the Austin Spotlight Film Festival, SWAMP WOMEN KISSING BOOTH, is a quirky comedy short, directed by Tori Pope, that’s just begging to tell it’s tale of swamp tinged love and rejection. Four young women just baking in the afternoon sun are jolted when a young crocodile hunter named Tommy Winchester walks into their lives. Will a simple kiss get them the love they desire or will they be thwarted by the winds of destiny (and disease)? 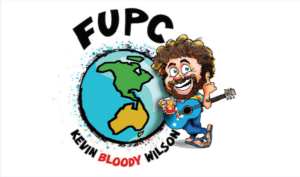 Enjoy this 12-minute throwback to 60s sitcoms while you sip a tall drink. Careful what you wish for! 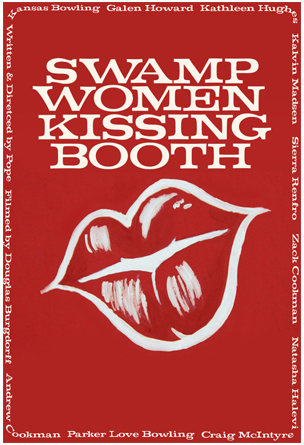 Swamp Women Kissing Booth from Pope on Vimeo. The cast of this short includes Kansas Bowling, Kathleen Hughes, Natasha Halevi, Sierra Renfro, Parker Love Bowling, Kalvin Madsen, Zack Cookman, Galen Howard, Craig McIntyre, Andrew Cookman with cinematography by Douglas Burgdorff. Mentions: Watch more content from Pope on Vimeo.